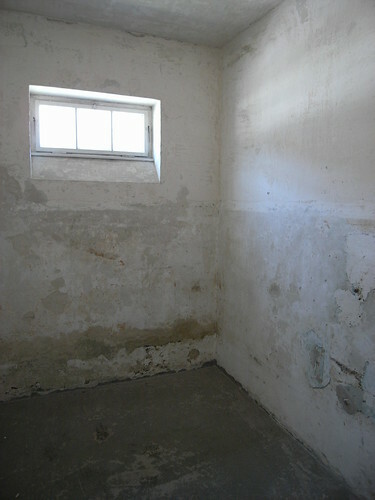 Barracks Cell, Dachau, originally uploaded by Eric Jeschke. Bars over the window have been removed. The U.S. used Dachau as a prisoner base for war prisoners after the war. Some of the rooms were heavily modified.